January 4, 2011 by Ken Ward Jr. The Obama administration’s move to crack down on mountaintop removal coal mining has been listed in the Vermont Law School’s annual collection of environmental issues to watch in 2011. You can read the entire Environment Watch List 2011 here, and you’ll see it also includes congressional failure to enact comprehensive climate change legislation. Regulators, politicians, coal industry representatives, environmentalists, and mining community residents are awaiting the results of pending litigation challenging the EPA’s heightened regulatory scrutiny of mountaintop removal mining. The Spruce No.1 Mine owner, Arch Coal Co., has sued the EPA over the veto, claiming the decision was politically motivated and violates due process. This closely watched case could set a precedent for future vetoes and is so controversial that coal state representatives from both the House and Senate have sent letters to President Obama and Administrator Jackson strongly urging Jackson not to veto the permit. The coal industry and the state of West Virginia have sued the EPA, claiming it should have gone through notice and comment rulemaking before adopting the new water quality standards. The lawsuits have multiplied to the point that the EPA requested to consolidate them all in one district court. Coal state representatives have sworn to block the EPA from enforcing the standards through legislation, perhaps an appropriations rider. The Corps’ stricter mitigation policy requires “functional replacement” of streams and wetlands, forcing permittees to recreate the actual ecological functions of the waterways destroyed by the valley fills. If the Corps makes good on this new policy, it will impose significant additional costs and further limitations on where the industry can mine in Appalachia. Vermont Law calling 2010 a Crackdown (Clampdown whatever) on MTR? Sounds like a vicotry for coal industry PR Machine once again. I am sure they are celebrating this evening over a well respected envionmental law school hopping on the their band wagon. Crackdown or Clampdown whatever way you say it seams to me it would entail that the EPA has started doing their job for onece. In reality the have begun to plan on how to better do there job and before they know it the coal lobby will take there job away from them as soon as the next election roles around. 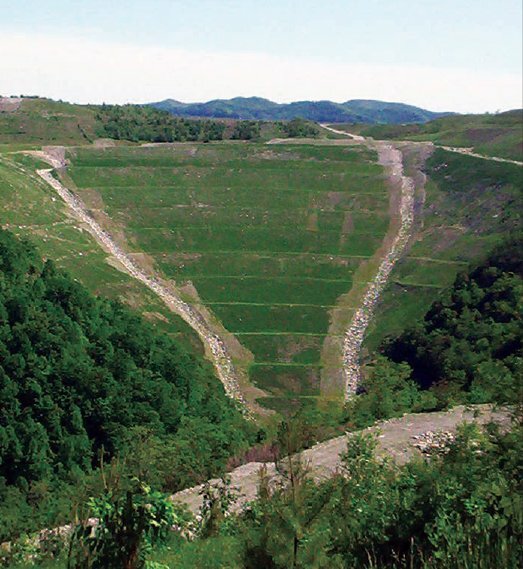 It is important to note that setting standards for discharges on valley fills or even rules that would in effect ban valley fills is not going to end mountaintop removal. It is not going to stop what has already been permitted, and it is not going to save mountains like Coal River Mountain. Coal River Mountain and many others are being mined as we speak with no valley fills. This is being done by a fast growing in popularity practice of High Wall Mining (Similar to Auger Mining). The Twilight Surface Mine on the other side of the valley just a few miles away is the largest surface mine east of the Mississippi a miner employed said. They plans to extend the already decimated 3.5 thousand acres 3 thousand more acres to the south and then connect up with the already existing 2 thousand acre Edwight Surface Mine. With back filling potential, nearly all of this can be done with-out valley fills. It may cost just a little bit more, but they will mine it if they can make a dime doing it. To the residents and the Environment it does not matter whether the companies make a million dollars on a ton of coal or 1o cents on a ton of coal. Once it is destroyed it is gone forever. Mountains are still slated to disappear, creeks slated to be destroyed forever and communities either fear removal or extermination of the people from the toxic environment. A crack down means the EPA is making efforts to stop this. Starting at noon today, when the Republican majority is sworn in on Capitol Hill, the process of “putting the EPA back in its box” will start. Look for a series of, for starters, very pointed hearings this month about some of these rules, and then a series of de-funding initiatives after that from the Republican majority. They know that all they have to do is buy time for the next two years.